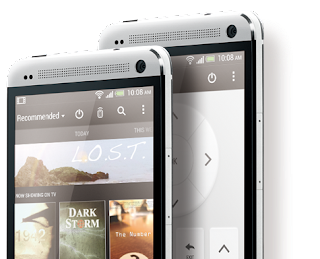 Nokia and STMicroelectronics argument might mean a small redesign for the HTC One! Over the last few days it's come to light that Nokia have complained to Dutch courts that HTC have been using a microphone arrangement in the HTC One which is meant to belong solely to Nokia. The real issue here though isn't between Nokia and HTC it's between Nokia and STMicroelectronics and there seems to have been a little bit of a misunderstanding! Essentially the ruling from earlier this week, which was handed down from an Amsterdam district court has given STMicroelectronics a ten month ban on their sales of their new 'high-amplitude microphones' to any company other than Nokia! Essentially this means that the dual-membrane microphone which HTC have used in their One was meant to have been in a twelve month exclusivity period with Nokia because they were the co-developers. The story goes that STMicroelectronics believed the exclusivity was only six months so that's where the problem has occurred! What this means for HTC is a little problematic because the Taiwanese guys are basically, as the court said, 'blameless' because there was no way they could have known about the exclusivity deal. For the moment this means that HTC's flagship will be available in the Netherlands with the dual-mic set-up, but there won't be any more allowed to ship any more phones with this arrangement for the time being. "HTC is disappointed in the decision. We are consulting with STM and will decide whether it is necessary to explore alternative solutions in due course. In the meanwhile, we do not expect this decision to have any immediate impact on our handset sales."